There’s no such thing as failure: only success that goes unrecognized. If you assume–which I do–that we create our own reality according to our thoughts and beliefs, not partially, but 100% of the time, then your life and everything in it is just the evidence of your thinking. In that sense, you are always, by definition, 100% successful at creating precisely what you set out, by choosing your own thoughts, to create. No exceptions. Ever. The trouble is that we are so seldom aware of all of our thoughts. So when the aftereffects of some of them show up in our lives, we say, “Where the hell did that come from?? ?” And we are totally righteous about it, because our conscious mind really has no idea that it ever entertained any thought like that. But it does. All the time. We just don’t enter it in our Personal History File. You don’t know about that file? Okay. Let me explain. See, our minds are constantly thinking (except during certain kinds of meditation). There is a steady stream of thoughts rushing past. Sometimes the pace is faster than other, but it is constant nonetheless. Now you’ve seen video cameras in public locations, right? I’m talking about stores and gas stations and such. Well, do you think for one moment that they save every image forever? Hardly. Most of them recycle every 24 hours or so. If not, they would wind up with the mother of all trivia collections, because the vast majority of the time nothing happens that is the least bit memorable or even slightly interesting. It’s just padding between the real dramas. Our minds are much the same situation. Your conscious mind hops from thought to thought most of the time, looking for one worth paying serious attention to, and maybe even developing and acting on. Most of those thoughts end up on the cutting room floor. But among that refuse are examples of a class of thoughts that are neither waste or meaningless. These are the thoughts that are on autopilot from what some would call our subconscious. (I prefer to think of it not as sub-conscious at all, but rather so profoundly and unutterably conscious that our ordinary awareness can’t even see it. But that’s another story). Many of these thoughts are quite negative and limiting, because they are based on beliefs we picked up when we were far too young and stupid to be doing any such thing. They are based on our fearful reactions to percieved (and in point of fact nonexistant) threats. No one likes to be thinking fearful things constantly, so we just push them aside and let them run in the background on autopilot. Oh yes. That feels much better, thank you very much. The problem is that they just keep pouring out these negative thoughts, because they don’t “officially” even exist. And if that weren’t enough, those thoughts are intermixed with our more current conscious ones and the result is that they are all trying to become real. It’s just like Pinocchio wanting to be a real boy. And they do. They are like an IV drip of negativity until turned off. It’s going to keep coming up until you take it off autopilot and pull its plug. It is proof positive that you are 100% successful at materializing everything you think about, even the things you aren’t fully aware of. And here’s the really good news. Everything you create that way, the worst things in your life, all have two things built in: they give you the incentive and the opportunity to regain your sanity about that particular thing. What’s more, until you take them off of autopilot and get rid of them, they will keep doing that forever. It’s just one of the miraculous things about the way we’re all made. 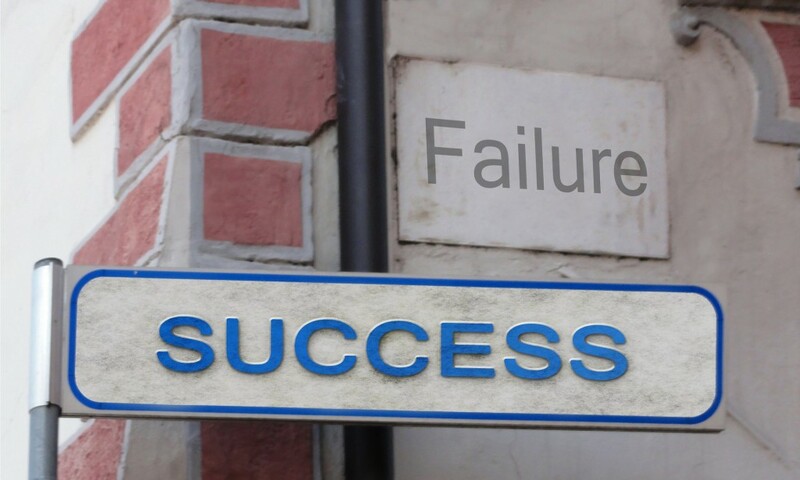 To learn more about how your own seeming failures were really some of your greatest successes, take a look at this. failure, MyLifeStory, stories, success, TheresNoSuchThingAsFailure. Bookmark.